We offer American Crew: American Crew continues to lead the way in the men's grooming business. With a passionate commitment to men's grooming, our purpose is to bring men into salons, provide them with a great new experience and show them new ways of incorporating style into their everyday lives. 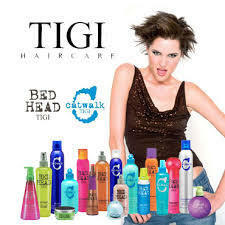 We offer TiGi's BEDHEAD & CATWALK: BY HAIRDRESSERS. FOR HAIRDRESSERS.It's about progression. Keeping the art of hairdressing fresh. Dynamic. Alive. Balancing expression and invention - with the skills and precise technical understanding that set creativity free. 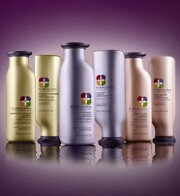 We offer Pureology: With Pureology, it is our mission to provide the professional hair colourist and their clients the highest quality colour care products that enhance radiance, dramatically improve hair condition, and respect the environment while delivering longer lasting hair colour guaranteed.